For official information visit (Government Directory) Parks Canada: Rideau Canal. The information here may be outdated. Lock passes may be paid in Canadian dollars at any lockstation using Visa, Mastercard, personal cheque (with proper id) or cash, with discounts if purchased early. Passes may be purchased online or by mail from the Rideau Canal office. Fees are based on boat length. Seasonal lock passes are available - canoes and kayaks pay half. Mooring The term mooring means the same as docking. Mooring and camping space is available on a first-come, first-served basis. Boats may tie up on the blue line (approach docks) with the lockmasters permission at the end of the day, but must move by the first lockage in the morning. Boats may moor for a maximum of 48 hours. If you have stayed your maximum time, you may not return to the same dock or wall for 24 hours. Rafted boats pay the same mooring fees. 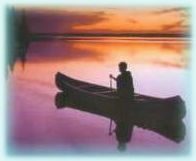 Camping is available only to boats transitting the waterway, and is arranged with the lockmaster. It is free with a mooring permit for the boat. Towing If you tow a boat (aluminum, fiberglass, rubber dingy or personal watercraft), you must buy a lockage permit for the towed craft. A mooring permit for a towed vessel is also a requirement. Any boat traversing Canadian canals must be registered or licensed, with appropriate markings for identification. NOTE: MINIMUM 3.6 metre (12') vessel length is charged for boats under that size. See Government Directory: Parks Canada for current fees for locks, docks, camping, parking. See Government Directory: Parks Canada for dates and hours of operation for the current year. In previous years, the waterway locks were operational mid-May to mid-October, with longer hours in summer and weekends - 8:30 am to 7:30 pm. Times of lockages are not guaranteed. Allow 30 minutes for each lock before closing. At Ottawa Locks, arrive at least 3 1/2 hours before closing. Single Lock/Return $0.90; One Day	$1.60; Transit one-way	$4.65; Six Days	$5.05; Seasonal	$8.80. Cost per foot to dock overnight $0.90; Season $9.80. Power connection $9.80. Boat launch $9.80. Allow 10 minutes for swing bridges. City of Ottawa bridges will not open during rush hour traffic Mon-Fri 8:30-9:00 am, 12:30-1:15 and 3:30-5:30 pm. Smiths Falls Bridge follows a schedule June 14 to August 5 on weekday mornings: 8:45, 9:30, 10:15, 11:00, 11:45, and on-demand after 1:00 pm. Old Slys bridge will not operate weekdays from 11:55 am to 12:15 and 12:45 to 1:00 pm. Perth's Beckwith Street Bridge swings twice daily 11:00 am and 3:30 pm (2:30 pm in the fall). Many Lockstations charge an hourly, daily or weekly parking fee. Parking for Ottawa lockstations is available at nearby commercial parking lots. Lockstations near Ottawa are more expensive: Hartwells, Black Rapids, Long Island. Newboro Lockstation offers a seasonal parking pass. Boat launching is available at Poonamalie, Beveridges, Edmonds and Smiths Falls Detached for a fee, including parking where applicable. Seasonal permits available. Some things are still Free! Picnicking, fishing and use of washrooms and trash cans is still free (I think)! That could change. Temporary dockage is still free. The "blue line" is reserved for boats locking through. Most lockstations have additional docks for day use and overnight mooring. Day use is currently free unless the lockmaster asks you to move. Use good "boat manners" and leave the docks before suppertime for the boats mooring overnight. Oh, I almost forgot -- the water is still free! This website is not affiliated with any government or commercial organization.